For shopping fun, head to Harrods or Covent Garden. Tower of London and South Bank will appeal to history buffs. There's much more to do: explore the historical opulence of Buckingham Palace, learn more about the world around you at Natural History Museum, get a taste of the local shopping with Camden Market, and tour the pleasant surroundings at St. James's Park. For photos, maps, and more tourist information, you can read our London vacation builder. Singapore, Singapore to London is an approximately 17.5-hour combination of car and flight. The time zone difference moving from Singapore Time to Greenwich Mean Time is minus 8 hours. Traveling from Singapore in December, expect London to be cooler, temps between 46°F and 39°F. Cap off your sightseeing on the 13th (Wed) early enough to catch the train to Manchester. You've now added Old Trafford to your itinerary. Kick off your visit on the 13th (Wed): explore and take pictures at Old Trafford. To see reviews, where to stay, more things to do, and more tourist information, read Manchester custom trip planner. Traveling by train from London to Manchester takes 2.5 hours. Alternatively, you can do a combination of train and flight; or drive. Expect a daytime high around 44°F in December, and nighttime lows around 35°F. Wrap up your sightseeing by early afternoon on the 14th (Thu) to allow enough time to take a train to Liverpool. To see photos, ratings, reviews, and tourist information, go to the Liverpool itinerary maker. You can take a train from Manchester to Liverpool in an hour. Alternatively, you can drive; or drive. Expect a daytime high around 46°F in December, and nighttime lows around 37°F. You'll set off for Paris on the 14th (Thu). 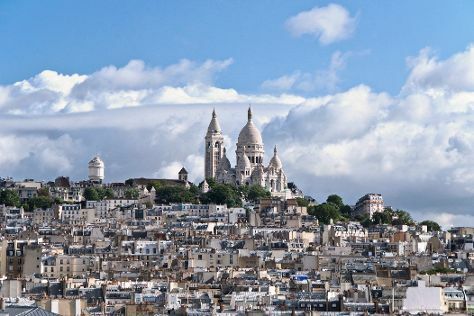 Champs-Elysees and Montmartre will appeal to history buffs. There's much more to do: admire the striking features of Arc de Triomphe, stroll the grounds of Pantheon, and admire the masterpieces at Louvre Museum. For other places to visit, photos, ratings, and more tourist information, use the Paris travel planner. Do a combination of bus, flight, and train from Liverpool to Paris in 5 hours. Alternatively, you can take a train; or do a combination of car and train. You'll lose 1 hour traveling from Liverpool to Paris due to the time zone difference. In December, daily temperatures in Paris can reach 45°F, while at night they dip to 35°F. On the 18th (Mon), you'll have the morning to explore before heading off to Vienna. Shop till you drop at Naschmarkt and Altmann & Kühne. Next up on the itinerary: admire the natural beauty at Schoenbrunn Palace, browse the range of quality goods at Julius Meinl am Graben, don't miss a visit to Rathaus, and get to know the fascinating history of Historic Center of Vienna. To see ratings, photos, maps, and other tourist information, read Vienna holiday planner. Getting from Paris to Vienna by combination of train and flight takes about 5 hours. Other options: drive; or take a train. Plan for little chillier temperatures traveling from Paris in December, with highs in Vienna at 38°F and lows at 29°F. Finish up your sightseeing early on the 21st (Thu) so you can travel to Salzburg. On the 22nd (Fri), admire the landmark architecture of Mirabell Palace, step into the grandiose world of Hellbrunn Castle (Schloss Hellbrun), and then get a taste of the local shopping with Getreidegasse. Here are some ideas for day two: explore the different monuments and memorials at Petersfriedhof, take in the spiritual surroundings of St. Peter's Abbey (Stift St. Peter), then explore the historical opulence of Fortress Hohensalzburg, then take an in-depth tour of Mozarts Geburtshaus, and finally steep yourself in history at Mozart-Wohnhaus. To find maps, other places to visit, photos, and more tourist information, go to the Salzburg itinerary planner. You can do a combination of train and flight from Vienna to Salzburg in 2.5 hours. Alternatively, you can take a train; or drive. In December, daily temperatures in Salzburg can reach 38°F, while at night they dip to 27°F. Wrap up your sightseeing on the 23rd (Sat) early enough to drive to Munich. 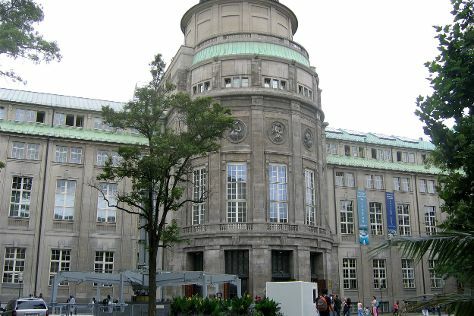 Kick off your visit on the 24th (Sun): engage your brain at Deutsches Museum, get to know the fascinating history of Haidhausen, and then don't miss a visit to Marienplatz. On the 25th (Mon), you'll have a packed day of sightseeing: step into the grandiose world of Nymphenburg Palace (Schloss Nymphenburg) and then hunt for treasures at Biergarten Viktualienmarkt. To find photos, maps, traveler tips, and other tourist information, refer to the Munich sightseeing planner. Getting from Salzburg to Munich by car takes about 1.5 hours. Other options: take a train; or take a bus. In December, daytime highs in Munich are 42°F, while nighttime lows are 30°F. Cap off your sightseeing on the 25th (Mon) early enough to travel back home.